In recent posts I have examined former Weather Underground Organistion (WUO) involvement in two interlinked organisations, Movement for a Democratic Society (MDS) and Progressives for Obama (PFO). "uniting of all revolutionary forces in this country with the ultimate aim to overthrow the Government". Founded in August 2006, MDS seems to embody just the type of revolutionary unity the WUO was striving for way back then. The MDS board includes representatives from three of US's most influential (and pro-Obama) Marxist organisations, Democratic Socialists of America (DSA), the Communist Party USA (CPUSA)and Committees of Correspondence for Democracy and Socialism (CCDS), plus many former members of Students for a Democratic Society and its terrorist splinter, the Weather Underground Organisation (WUO). Former Weathermen and their allies undoubtedly dominate MDS. I have revealed that three former Weathermen, Bernardine Dohrn, Mark Rudd and Jeff Jones have served on the MDS board, as have two close friends of Dorhn's husband Bill Ayers, former SDS Maoists Carl Davidson and Mike Klonsky-both very familiar names to Obama watchers. Bill Ayers himself is a prominent MDS activist, while another board member Thomas Good describes himself as an "unrepentant Weather supporter". Progressives for Obama is intimately tied to MDS. Four of the six original PFO founders are MDS board members-Carl Davidson (CCDS member), Tom Hayden (former SDS leader) and Bill Fletcher and Barbara Ehrenreich (both DSA leaders). Mark Rudd and Thomas Good are PFO endorsers as are Klonsky's wife Susan and brother Fred. Good edits the MDS "unofficial" ejournal Next Left Notes, which carries a prominent link to PFO. Jeff Jones and two more former Weathermen, Howie Machtinger (a Next Left Notes contributor) and Steve Tappis have signed a PFO supporters petition. Another PFO petion signatory is Jennifer Dohrn, sister of WUO leader Bernardine Dohrn. This post looks more closely at Steve Tappis, Berbardine Dorhn and another MDS board member, Bruce Rubenstein. It turns out that Bruce Rubenstein, is one of three key players in MDS. The Weather controversy erupted when Bernardine Dohrn, a Weather leader who now teaches law at Northwestern University, was invited to speak at the first new SDS conference, held in Providence, Rhode Island, in April 2006. Dohrn received a rousing welcome, but when Bob Ross, an early SDSer, used his talk to lament that "the largest legal and unarmed movement in the history of the West" turned "ineffectually violent and useless," he was received coolly. At the first new SDS national convention in Chicago, in August, Good opened the proceedings by reading greetings from Dohrn. Moreover, Rubenstein, MDS's treasurer, is unapologetic about his Weather history and says that if it were 1969 he would "do it all over again..."
Bruce Rubenstein personally recruited former WUO member Mark Rudd to the MDS. It also turns out that Rubenstein may also be an Obama supporter. Barack Obama's Connecticut campaign drew a capacity crowd of 250 to a kickoff event at Yale's Afro-American Cultural Center today, while Hillary Rodham Clinton rolled out an endorsement by Stamford Mayor Dannel Malloy...Bruce Rubenstein of West Hartford, a fundraiser who likes to play both radical and insider, dropped by. Can we chalk up one more Weatherman for Obama? 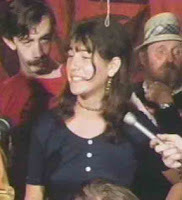 Jennifer Dohrn was never a proven WUO member, but she was a national leader of the the Praire Fire Organising Committee, the WUO's above ground support network and a spokesman for her terrorist sister. Later she was married to radical lawyer Haywood Burns, founder of the the "legal arm of the black revolution" the National Conference of Black Lawyers-an affiliate of the Soviet front International Association of Democratic Lawyers. Burns had close ties to Cuba and was incolved in several other communist fronts including the National Lawyers Guild, Center for Constitutional Rights and the Emergency Civil Liberties Committee. Burns successfully defended CPUSA radical Angela Davis, who was acquitted of kidnapping and murder charges after the 1970 invasion of a California courthouse which killed four people including the presiding judge. Incidentally, Angela Davis is now a leader of CCDS and was an founding MDS board member with Bernadine Dohrn. An original leading Weatherman, with Bill Ayers, Bernardine Dohrn, Mark Rudd, Jeff Jones and Howie Machtinger, Steve Tappis was also one of the earliest dropouts. He has stayed radical all the way however and as recently as September 2008 was involved in a TEACH IN ON THE IRAQ WAR at the University of California Berkeley. Speakers included Progressives for Obama founder Tom Hayden and PFO website endorsers Daniel Ellsberg and Immanuel Wallerstein. Described as a "Sixties activist in Chicago", Tappis was a member of the "Teach In" organising group. 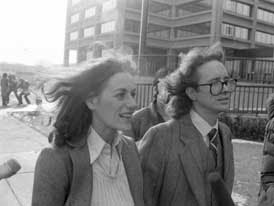 Coincidentally another group member was was Berkeley Phd student Rick Ayers-another former Weatherman and brother of Bill Ayers-fancy that. Chicago is home to the Crossroads Fund, a foundation that channels money to organisations such as the Ad Hoc Committee on Chicago Police Torture, Feminist Response in Disability Activism, Female Storytellers Igniting Revolution to End Violence, Illinois Safe Schools Alliance (Formerly Coalition for Education on Sexual Orientation), and well known CPUSA/DSA linked organisations such as the Chicago Committee to Defend the Bill of Rights and Jobs with Justice. Get the picture? The Fund is co-chaired by leading Chicago DSA member Bill Barclay while Ali Abunimah, a claimed Obama associate serves on the board. 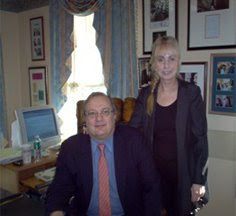 Steve Tappis is a donor to the Crossroads fund. Other donors in recent times might also be familiar to keen Obama watchers. A view of Crossroad annual reports here and here reveal some interesting names. They include Obama's personal friends Timuel Black (CCDS member and husband of Progressives for Obama endorser Zenobia Black)and DSA member Quentin Young-present at the famous 1995 meeting at the home of Bill Ayers and Bernardine Dohrn which launched Obama's political career. Obama financier Bettylu Saltzman is listed, as are Progressives for Obama founders Carl Davidson and Tim Carpenter. PFO endorsers Aviva Futorian and Susan Klonsky appear as does MDS board member Mike Klonsky and unsuccessful board nominee Barbara Ransby. PFO petition signers Ted Pearson (CCDS, former Illinois CPUSA chairman) and Prexy Nesbitt (CPUSA and Black Radical Congress connections) also donate. Unsurprisingly Bill Ayers and Bernardine Dohrn are also listed (in 2005). Ayers and Dohrn are not simply Crossroads donors, they are active fundraisers. Interstingly, when Crossroads held anniversary celebrations last year they established a 25th Anniversary Host Committee. Honorary Hosts included Congressman Danny Davis and Alderman Helen Shiller, Alderman Joseph A. Moore, Cook County Clerk David Orr and of course Senator Barack Obama. I wonder if Barack hosted Bill and Bernardine? The cognoscenti supported Hitler in the 1930s and when they found out Hitler’s true nature it was too late. The elites support BHO now; I wonder if they will come to regret it when they see where BHO and his comrades are really coming from.